The Department of General Medicine & Emergency monitors the in-patient care and also manages the 24-hour casualty unit equipped to meet the requirements of emergency situations and trauma care ably supported by Neurosurgeons and other specialist doctors on call, round the clock. The Emergency department assesses and treats people with serious injuries and those in need of emergency treatment. It's open 24 hours a day, 365 days of the year. The Emergency department is sometimes referred to as casualty, accident and emergency. We do also provide the services of an ambulance if it’s necessary. Generally you should go to the emergency department only in emergencies such as loss of consciousness, a very serious state of confusion, persistent severe chest pain or breathing difficulties. 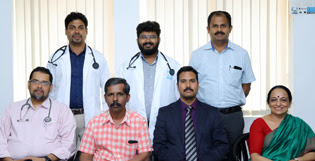 Dr. Hema Rajesh completed her MBBS in the year 2002 from PSG Institute of Medical Sciences & Research, Coimbatore, Tamil Nadu Dr. MGR Medical University. She has been working as the Resident Medical Officer since 2006 and presently is the Acting Medical Superintendent. 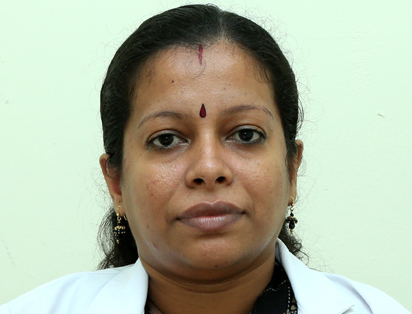 Dr. Archana Turimella graduated in medicine at KIMS, Dr. NTR university in 2010 and pursued her Fellowship in Pain and Palliative medicine in 2011 at Kozhikode. Later on in 2018, she also did her Fellowship in Intensive Care Medicine at Appollo Hospital and has at present completed Masters in Emergency Medicine from SEMI. Dr. Archana is skilled in Cardiac arrest management and has conducted 150+ Endotracheal intubations, 56 Central lines, 25 Ascitic tappings, 5 ICDS, 50 Pleural tappings, 4 Thromobolysis (CVA), Gastric lavage, Cricothyroidectomy, Needle thoracocenthesis, Multiple trauma & head injury management, Normal deliveries, Minor surgical procedures, Cardiac patient management, ICU management, Seizures management, Fracture management, Burns case management, Pain and palliative care, Sepsis management, Fluid resuscitation etc. General Medicine & Emergency offers 24 Hour casualty care with advanced emergency care equipments to monitor patients. Availability of expert surgeons and other specialists on call, skilled paramedical and nursing care and immediate access to other support services like Pharmacy, Laboratory, Radio diagnosis & Imaging and availability of a state-of-the-art critical care ambulance. Respiratory emergencies may be caused by disease in the airways, thoracic vessels, and pulmonary parenchyma. Airway obstruction can be cleared by Bronchoscopic therapies, including laser ablation photodynamic therapy (PDT) and stent placement. Cardiovascular emergencies are life-threatening disorders that must be recognized immediately to avoid delay in treatment and to minimize risk. 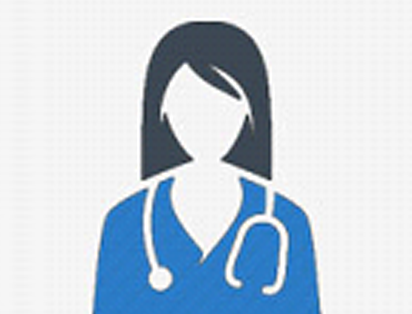 Patients may have severe hypertension, chest pain, dysrhythmia, or cardiopulmonary arrest. Gastrointestinal emergencies are serious conditions that often develop suddenly and require prompt diagnosis and immediate treatment. They can develop throughout the digestive system, like the Mouth, Esophagus, Stomach, Small intestine & Large intestine. Speed is the essential factor in neurosurgical emergencies as the risk of significant brain injury or death increases with time. As these emergencies often progress rapidly, emergency management is essential to minimize further neurological damage. The brain can be injured in many ways, the most common being through direct traumatic brain injury caused by road traffic collisions, falls from height, and assaults. Ischaemic injury is often caused by embolic stroke or haemorrhagic injury from ruptured vascular malformations (e.g. cerebral aneurysms) is also common causes of neurosurgical emergencies. Acute hydrocephalus and infection problems (e.g. abscesses) are other conditions where prompt intervention is required. Similarly, acute spinal injuries can be traumatic, compressive, and infective.